music portably. As the iPod moved into the world of the iPod Touch and the iPod Nano became more popular, Apple wanted a consumer model that would be even simpler than the other two and would hold a smaller price tag. Enter the iPod Shuffle. The iPod Shuffle is intended to be a small, lightweight, and incredibly easy device to work with. In this way, it often bypasses many of the problems that the other devices incur, which can just be a result of their complexity. Even though this is the case, the iPod Shuffle still has problems that arise and there is still a certain element of iPod Shuffle troubleshooting that is necessary. 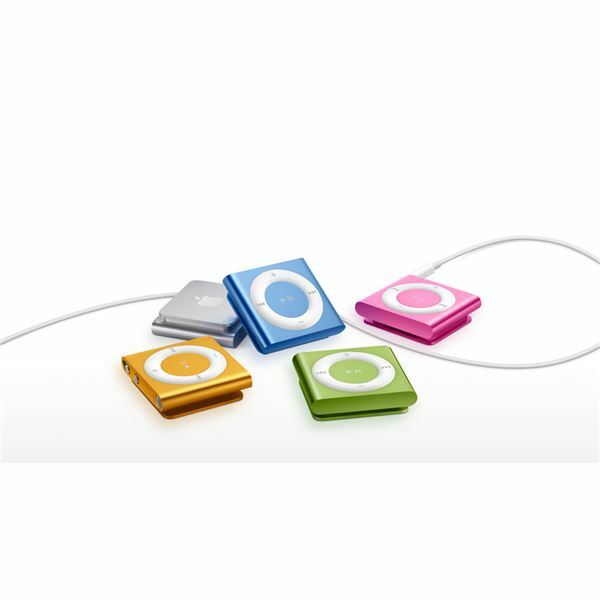 Here is a look at some common tips for iPod Shuffle help in situations when it is needed, and for the different types of iPod Shuffles out there. One of the most common cries for iPod Shuffle help comes when a customer's device won't turn on. The obvious culprit at first is going to be that the iPod Shuffle had not been fully charged and has now died. If you are working with a second generation iPod Shuffle, check the switch that is on the very top of the device. If it is set to On then you will see the green exposed, indicating the switch is in the correct position. If you see that the Play/Pause button is blinking green followed by a few orange blinks then this will indicate that the iPod Shuffle's controls have been disabled, and this may make it appear as though the iPod Shuffle won't turn on. If you hold down the Play button for a few seconds this may successfully troubleshoot that iPod Shuffle problem by activating the buttons. A common issue that comes up with iPods, and not just iPod Shuffles, is that a particular song will not play on your device that you are trying to sync over. There is actually a way to troubleshoot this for your iPod in a step-by-step way since there are a number of concrete reasons that this may be occurring on your particular device. First, you should go look at the files in iTunes. Make sure that they are still consistently there as individual files on your computer and not absent spaces that are just being indicated in your iTunes library. You will usually be told about this during the sync, unless you had previously turned off the warning. In this situation you should either re-upload them to your computer and then re-link the files, or simply remove them from your iTunes library. You should also make sure that both your iTunes and your iPod Shuffle's software are completely up to date, which is the cause of a great number of issues that need iPod Shuffle help. You can do this by searching for updates in iTunes, and once things are completely up to date you will have saved yourself a number of different problems. If you find that there are certain songs that you bought from iTunes that are not playing on your iPod Shuffle then you can apply a separate troubleshooting process to that. Make sure that your computer is properly authorized with iTunes, and you may even want to un-authorize and reauthorize the computer. If you see that your computer will not recognize your iPod Shuffle, you have a few options. First, unplug all USB devices from your computer and try syncing your iPod Shuffle through a different USB port to make sure you are in an active one. Try plugging it into an alternative computer to see if it is specifically a computer issue that you must deal with. Windows-based laptop then go into the Control Panel. Go first into Hardware, then into Device Manager, and then go to then Universal Serial Bus Controllers. Choose the + sign next to them and then select the USB Root Hub. Go into Power Management and then choose "Allow the computer to turn off this device to save power." After doing this and restarting you may be able to recognize the iPod Shuffle. Source: iPod Shuffle FAQ. apple.support.com. Photos: Screenshot by Shane Burley and apple.support.com.